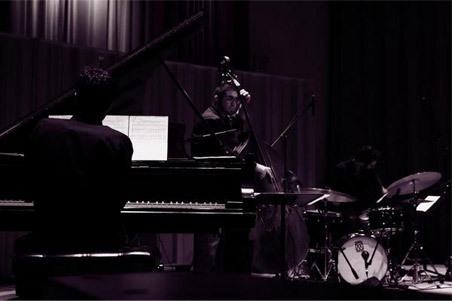 The Axis Trio is comprised of Amino Belyamani (piano), Sam Minaie (bass), and Qasim Naqvi (drums). With roots in Pakistan, Morocco, and Iran, the kinship of Axis is both musical and cultural. 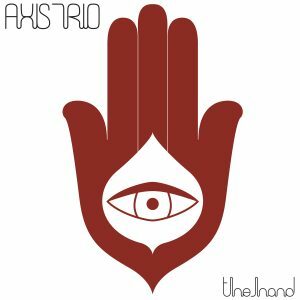 Collectively, the members of Axis Trio have performed with Charlie Haden, Joe LaBarbera, Larry Koonse, Butch Morris, Vinny Golia, Peter Erskine, Ravi Coltrane, Peter Epstein, Reggie Workman, Don Byron, Brandon Ross, Albert “Tootie” Heath, Houman Pourmehdi, Alfred Ladzepko, and Al Ustad Aashish Khan, to name a few. While retaining a vested interest in all genres of music from Stravinsky to Aphex Twin, Axis has developed a coloristic synthesis of performance and composition, with an approach that obscures the lines between musical styles unapologetically.